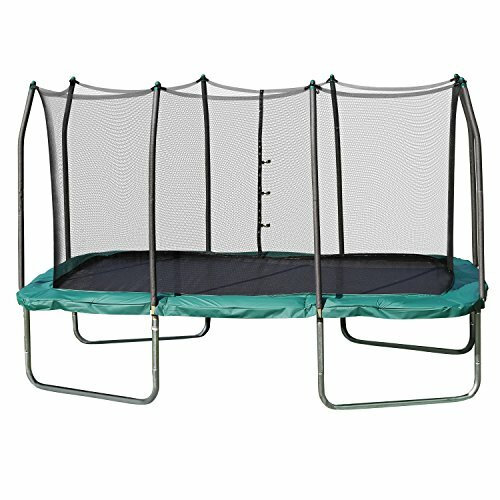 The Skywalker Trampolines new 8x14 rectangle trampoline and enclosure features an extra heavy duty green spring pad. The steel trampoline and enclosure frame is galvanized for rust resistance and durability. The Stay-Put enclosure design interlocks the enclosure netting to the jumping surface for a safe and gap-free jumping area.